Why Pairaphrase for Legal Firms? Pairaphrase offers best-in-class language translation software for legal firms and attorneys. 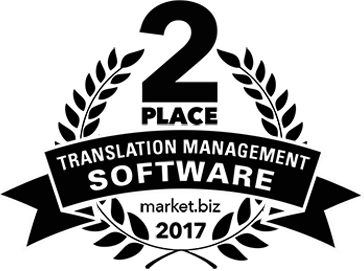 Our translation management system is specifically built for collaboration, perfect for streamlining your work. With time-saving features and a strong emphasis on security, Pairaphrase is the perfect hub for all your secure legal document translation needs. Safely translate patent documents, patent applications, legal contracts, litigation papers and more with Pairaphrase. 1. Upload a legal document for translation within just seconds or minutes, not hours or days. 2. Click the Translate button and share the document with stakeholders to whom you’ve given access to the secure platform. 3. Pairaphrase indicates any portions of your document that have less-than-perfect translation confidence. Designated colleagues can enter the hub to make edits using the Translation Editor. You can upload multiple documents simultaneously and receive a computer-aided translation for just about any file type within minutes—Pairaphrase creates the first draft translation for you, then you make additional edits where necessary. The original and translated text can be viewed in sections, side by side—this allows you or your team to easily spot potential legalese issues. Central hub access includes all translated documents related to a case—this allows you and any other designated stakeholders to collaborate and see who made edits where, in real-time. Save hours of time in correspondence. Translation Memory allows you to save translations and reuse them for future projects. When you edit a phrase in a legal document, that translation will be stored so that you never need to translate the same phrase twice! Dynamic Machine Learning applies your translation to repetitions within a single legal file or across a batch of legal files that are uploaded together to Pairaphrase—saving you time. Our Microsoft Office integration enables you to sign into Pairaphrase from within an Office file and begin translating in Word, Excel, Powerpoint, and Outlook! All translations sync up with your Pairaphrase account. At Pairaphrase, we understand the sensitive nature of translating a legal document. You can’t use just any language translation software for legal documents—there needs to be a high standard of security. A major concern with legal translation is confidentiality, as lawyers handle patent cases and information that simply cannot be leaked. Security breaches or leaked information can derail a case or have serious data privacy concerns for your clients and your business. With Pairaphrase, you benefit from fast patent document translation. Whether you need to translate just one patent application or you need to translate multiple patent documents simultaneously, Pairaphrase will get the job done quickly—within just seconds or minutes. We understand that time is of the essence when it comes to patents and fast-moving technological advances, but we also acknowledge that confidentiality is highly important. This is why we make patent document language translation available at lightning speed without compromising quality or security. Whether you need Chinese patent document translation, Japanese patent document translation or patent document translation in any of the other 55 languages compatible with Pairaphrase, you can rest assured that our patent translation software is the right choice for you. 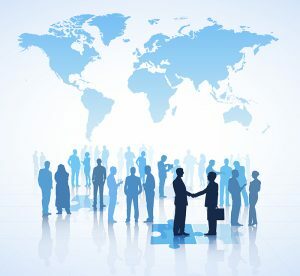 We’re aware that attorneys and law firms must take language translation seriously, as there are rigorous standards when it comes to foreign legal documents. One wrongfully translated word or phrase can cause you to lose a case. For obvious reasons, wrongfully translated legal documents and evidence can seriously backfire. 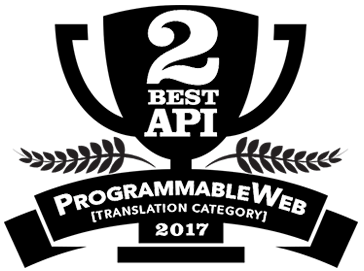 Pairaphrase is built on a powerful, high-quality translation framework. Our legal document translation software for legal firms and attorneys uses special internal algorithms to improve your translations. You will save both time and money by using Pairaphrase. Pairaphrase helps global teams work smarter, faster and safer. We put advanced translation technologies into the hands of everyday users. Empowering multinational organizations to communicate in every commercial language. We remain committed to solving the world’s translation challenges. We invite you to join us in this mission and our growing community by opening your own Pairaphrase account.